From September through to December and also between April & May each year it is possible to embark upon once in a lifetime voyages across the Banda sea, visiting the famed ‘Spice Islands’ to discover diving nirvana in the ‘Ring of Fire.’ This is diving as it was meant to be enjoyed, true exploration, away from the crowds, discovering dive sites that very few divers will get a chance to explore; discover unique and spectacular scenery both above and below the waves where volcanic activity has created a remote island paradise, only accessible to divers via liveaboard. 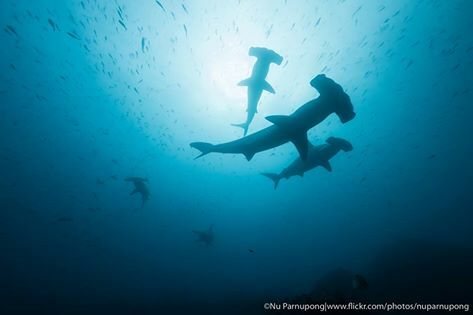 With our unmatched experience in this area, we can show you just what an incredible destination this is and take you to our ‘Hammerhead hot spots’ where at certain times of the year (Sep-Nov is best) schools of more than 200 Hammerheads have been witnessed. Besides the possibility of Hammerhead sharks, you will find pristine coral reefs, unique local seaman in Alor, tons of sea snakes in Manuk and a visit to one or more of the villages in the spice islands. The remoteness of these islands along with the low levels of human population, have meant less fishing and pollution pressures resulting in a vibrant, natural and healthy reef system. You can expect reefs bursting with life, huge sea fans and sponges, some monumental hard corals, and more fish than your mask can cope with, there is an extraordinary variety and volume of fish life, both in terms of large and small marine life. Beyond providing some of the best diving in the region the islands also have had a long and fascinating history. Spices, foreign traders, colonial conflicts, wars and earthquakes have all featured heavily in their checkered past. Up until the middle of the 19th century this was the only place on Earth where the spices nutmeg and mace could be found and as a result they were crucial hub for the spice trade, for a taste of the historic atmosphere of this region we will often visit local villages & communities that still rely on these very spices for their day to day living. Water Temp; Generally, 26-28 degrees Celsius however deep water upwellings & thermoclines especially in Sept-Nov can mean temps as low as 25C Alor can have temps in low to mid 20’s it is therefore advisable to bring along an adequate exposure suit. Best Time to Dive; March, April, & mid-September to December. There are several different embarkation & disembarkation points four our Banda sea diving safaris. While some trips that visit the region begin or end in Raja Ampat (Sorong) and others in Flores (Maumere) and Halmahera (Ternate) the most common access is from Ambon. Please check your trip itinerary and confirm your start / end points before booking any flights. How to get to Ambon (AMQ); Lion Air daily flights from Jakarta, Manado or Bali via Makassar. Garuda Indonesia have daily direct flights from Jakarta or for early morning arrivals (preferred) via Makassar. Batik Air also offer direct flights from Jakarta with an early morning arrival to Ambon. (flight time around 3 hours). How to get from Ambon (AMQ); Lion Air daily flights from Ambon to Bali via Makassar. Garuda Indonesia & Batik Air offer direct flights to Jakarta or via Makassar. Early morning flights should give you best chance of making connecting International flights (flight time around 3 hours). Lion Air have daily flights from Bali to Maumere and between Garuda Indonesia & Sriwijaya Air all days are covered from Bali to Maumenre (flight time around 2hours) Transnusa also offer daily early forning flights from Makassar (UPG). How to get from Maumere (MOF), Flores; There are daily flights from Maumere to either Bali or Makassar with Lion Air and between Garuda Indonesia & Sriwijaya Air all days are covered from Maumere to Bali. Early morning flights should give you the best chance of making connecting international flights (flight time around 2 hours). How to get to Saumlaki (SXK); Lion Wings morning flights or Garuda Indonesia for afternoon flights from Ambon to Saumlaki (flight time 1.5 hours). Before that Jakarta to Ambon. How to get from Saumlaki (SXK); Lion Wings flights from Saumlaki to Ambon (flight time 1.5 hours). After same airline Ambon to Jakarta (flight time 3.5 hours). Via Ambon; after the flight from Ambon you can connect with Jakarta (CGK), Bali (DPS) via Ujung Pandang (UPG/ aka Makassar) or Manado (MDC). Jakarta (CGK) If you are travelling via Jakarta some International & Domestic flights do not always arrive/depart from same terminal building. If yours is one here is a useful Transfer link. Note; If taking Garuda International flight to Jakarta and connecting directly to port of departure we recommend to double check the luggage belt in Jakarta incase your luggage is offloaded in error. Flight Schedules; Please check the current schedule with your chosen operator before booking flights as schedules and prices are subject to change. WMD or recommended agents cannot be held responsible for any flight delays, cancellation, or changes in schedules. 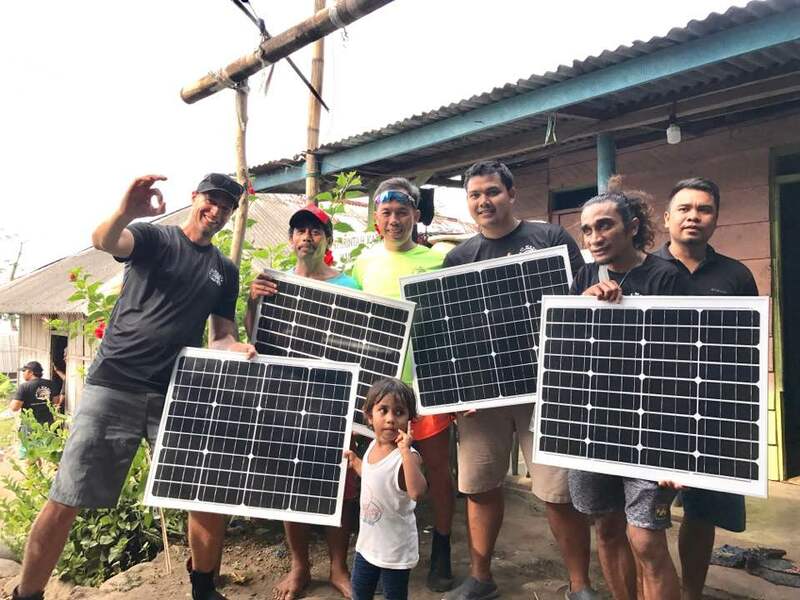 During our visits to the Banda Sea & Ring of Fire White Manta Diving have made continued efforts to forge strong links with the local communities and remote villages who have very little access to regional infrastructure or Government assistance. To help us in these efforts we encourage our guests to think about bringing along some small gifts / presents for the local communities that will be very much appreciated; un-used or second hand clothes, colour pencils & colouring books for kids, even sweets have proved highly popular in the past. If you have space in your luggage & are able to contribute we, and the local communities, would be very grateful for your contribution. 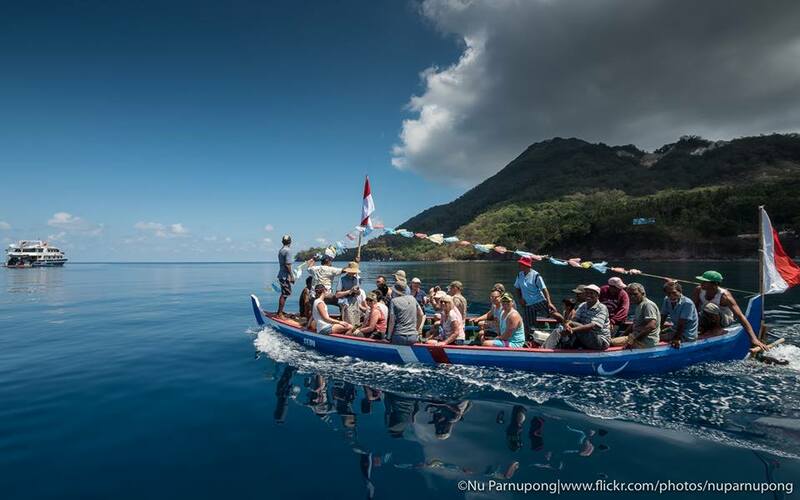 We are very much looking forward to welcoming you onboard for your Banda Sea adventures, it is a privilege to welcome you to the Ring of Fire, a very special destination which has so much to offer & constantly amazes our guests from season to season. We take dive planning, safety, & of course your enjoyment very seriously and work hard to ensure you will enjoy the best this region has to offer. 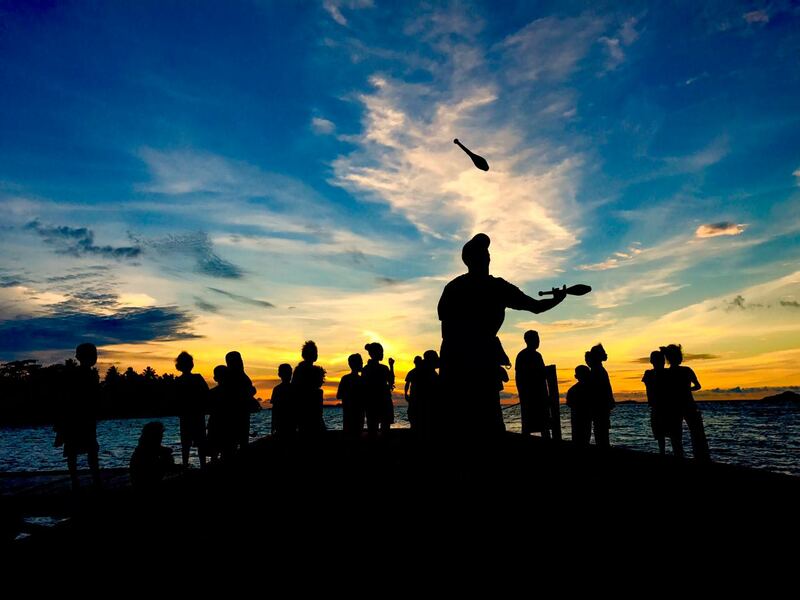 For this reason we wanted to explain a few things about our trips in Banda Sea before you join us on board. 1. The number of dives in the sample itinerary is meant as a guide only, we will plan each day’s schedule to prioritise the best diving possible; weather, sea conditions & sailing times may impact on actual number of dives. 2. 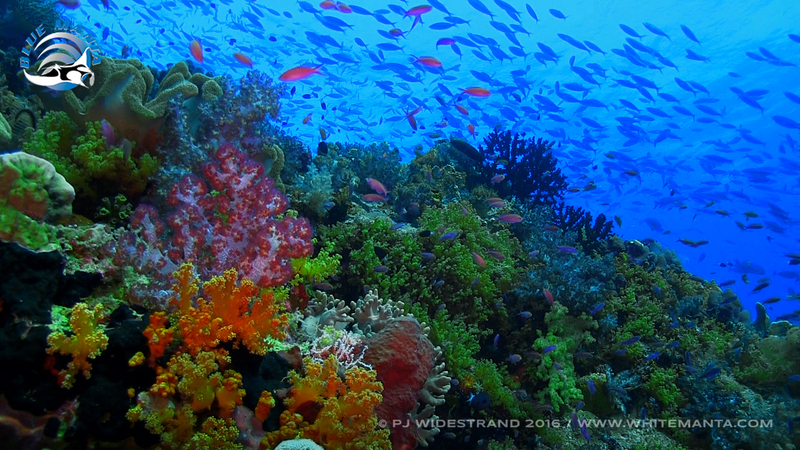 Each day in the Banda Sea we will complete 3 dives during the daylight hours. If present we will focus on the highlight species of the Banda Sea (which we don't like to name out of superstition!) When the boat is not moving & staying the night under anchor, guests may conduct a short, shallow unguided night dive in buddy teams for 45mins. Night dives are not a highlight in this area. 3. Why only 3 day dives? Diving in the Banda Sea is a deep average depth, because what we are looking for will be just under the 'thermocline'. The depth of this phenomenon varies but is quite often at 25-30m when sightings are good. We have max. depth 35m, and guests are urged to dive about 20-25m, always shallower than their guide. You need to save gas and avoid decompression. We operate a no decompression diving policy and do insist that all divers wear a dive computer during their dives. We also advise that you need to understand your computer comprehensively, if you are unsure about anything we recommend you take the time to go over the computers manual & even bring along with you on the trip. Once onboard the dive crew are of course here to help! Please also note longer surface intervals and more space between dive groups is necessary for dive safety and best experience. 6. We strive to encourage all divers to practice good behaviour underwater. We want everyone to enjoy the magnificent diving available & the best way to ensure this is to please listen carefully to dive briefings, dive crew advice & instructions. Some of the highlight species we hope to enjoy are very sensitive to unwarranted commotion underwater. For dives where we look for the highlight species diving deeper than your guide, chasing or use of flash photography will result in camera and diving penalties. In a time when the health of our oceans & their inhabitants are under serious threat we are very concerned with protecting the natural phenomenon we hope to share with you. Bad underwater behaviour can potentially spoil the experience for other divers in a group, other groups and even other trips. 7. I would like to reassure & remind you that safety is a priority. For this reason we cannot allow divers to conduct solo dives, repeat decompression dives or return very low on air consistently. We do have a few large tanks available for those that consume more gas underwater. (Subject to availability) Our dive crew are here to help you both above & below the waves, should you have any concerns during the trip we welcome you to discuss with us. If you struggle with buoyancy, air consumption, or you are just generally unsure about any aspect of diving please feel free to approach any of the crew, we are here to help!